Free radicals are truly one of the most malicious byproducts of cellular activity. These unbalanced atoms destroy body cells on the molecular level, slowly accruing damage until the cell becomes deformed and unable to function properly. Leading scientists and research institutions are beginning to link this process of free radical damage with previously inexplicable diseases, like Alzheimer’s disease (i). In honor of National Nutrition Month, the Miami Dentist Blog presents this guide to free radical damage. Why? Because the best way to prevent free radical damage is to make simple dietary changes. Recall from high school science class that matter, like our skin and body organs, is made of thousands of tiny particles called atoms. In the center of the atom is the nucleus, and revolving around the nucleus is a cloud of electrons. As you may remember, the electron cloud consists of pairs of electrons. When the electron cloud consists of an even number of electrons, and respective electron pairs, it is balanced. However, certain bodily processes cause the electron cloud to lose a single electron. This happens most often in the mitochondria of the cell during energy production. Once an electron is lost, the atom becomes unbalanced. 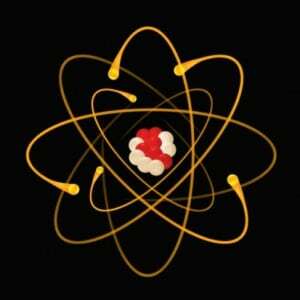 This unbalanced atom is called a free radical, and it cannot remain in an unbalanced state for long. The atom attacks neighboring atoms in search of an extra electron, eventually inflicting damage to the cells that those neighboring atoms compose. The damage worsens as free radicals multiply, causing more and more damage to the cells of the body. Free radical production cannot be stopped. Much like the exhaust of a car, free radical production is simply a byproduct of energy production. Other lifestyle habits can increase the production of free radicals, including smoking and sunbathing to name a couple. Free radicals may be neutralized, however. Antioxidants represent the yin to the free radical yang. Antioxidants are simply extra electrons—the one thing for which a free radical actively searches. Individuals can substantially limit the damage caused by free radicals by ingesting a large quantity of antioxidants to proactively neutralize them as they are produced. In theory, if one were to ingest a single antioxidant for every free radical produced, they would incur little or no free radical damage. However, free radicals are produced at a much faster rate than antioxidants may be ingested. Still, consuming substantial amounts of antioxidants is the best way to limit the damage caused by free radicals. The Miami Dentist Blog has released this guide to free radicals and antioxidants during National Nutrition Month to increase awareness of the foods we eat. In the next installment of this article series, we will examine foods that are naturally rich in antioxidants. Making simple dietary changes to eat more antioxidant-rich foods may substantially lower the risk of developing serious illnesses that result from free radical damage. Antioxidants help to combat the aging process as well, adding an extra benefit to this healthy dietary change.